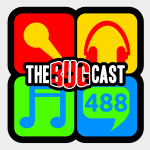 This week on The Bugcast: bears, gritters, automated voices, social media spying, and 8 amazing tracks of Creative Commons and independent music! Gimlet Media: ReplyAll #109 Is Facebook Spying on You? The next show will be episode 489, which will be streamed live in the chatroom, and hosted by Yannick and Lainey, on Friday 24 November 2017 at 21:30-ish UK time (GMT/UTC).